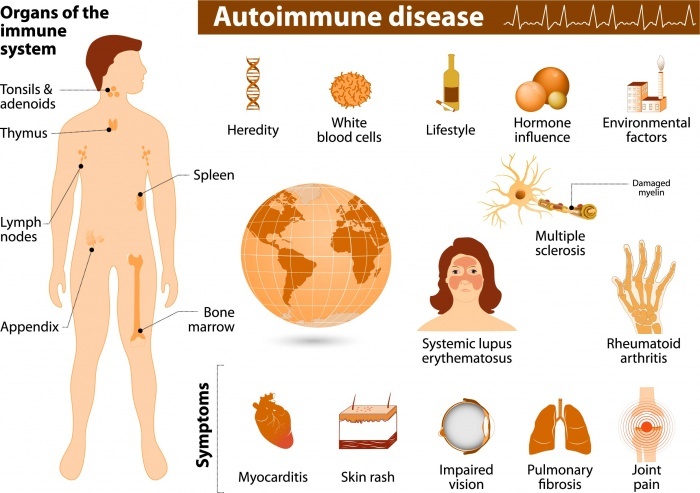 Over 50 million Americans suffer from autoimmune disease including rheumatoid arthritis, lupus, thyroid disease, Addison’s disease, pernicious anemia, celiac disease, multiple sclerosis, myasthenia gravis and Guillain-Barré syndrome. An autoimmune disease occurs when the body’s immune system attacks healthy tissue. Due to the complexity of treating autoimmune disorders, integrative medicine solutions including acupuncture and Chinese Medicine have received much attention as successful treatment therapies. Acupuncture is specifically noted for its use in pain relief, regulating the immune system, managing symptoms, and improving quality of life. According to TCM, autoimmune disorders occur when there is an imbalance within the body. Imbalance can come from an excess or deficiency of Yin and Yang that disrupts the flow of Qi, or vital energy, through the body. Acupuncture is used to help the body restore balance, treating the root of the disorder, while specifically addressing the symptoms that are unique to each individual. 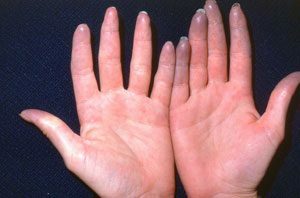 According to a small 1997 study published in the Journal of Internal Medicine, acupuncture is effective in treating primary Raynaud’s syndrome. The patients that received acupuncture experienced a statistically significant decrease in the frequency, severity and duration of their vasospastic attacks. The patients in the control group showed no improvements. Researchers concluded acupuncture was safe and effective for treating the symptoms of primary Raynaud’s syndrome. A class of plant chemicals known as bioflavonoids has been found to dramatically reduce inflammation and improve symptoms associated with autoimmune disorders. Apples – Apples (with the skin on) contain the flavonoid quercetin, which can reduce allergic reactions and decrease inflammation. Recommend ORGANIC without the high shine chemicals!! Carrots – Carotenoids are a family of plant pigments that include beta-carotene. A lack of carotenoids in the diet is can cause inflammation. Garlic – Garlic contains a compound called allicin which supports the immune system and has both antimicrobial and antioxidant qualities. Research suggests that components of garlic may reduce the incidence of cancer cell formation in the body in much the same way vitamin C does. Ginger – Ginger contains compounds called gingerols that reduce inflammation in the body by inhibiting prostaglandin and suppressing the immune system’s production of pro-inflammatory cytokines and chemokines. Tumeric – Curcumin is the main active ingredient in turmeric. It has powerful anti-inflammatory effects and is a very strong antioxidant. It helps the body fight foreign invaders and also has a role in repairing damage.